I’ve had therapy several times in my life. I became clinically depressed 3 weeks after I said “I do” the first time. Wasn’t a good sign. Other times I was figuring out childhood stuff. Then for panic attacks. I’ve had excellent therapists. And one that was not-so-hot. The latter was a psychiatrist in Dallas. He actually did therapy rather than simply prescribe medication. Or at least he said he did therapy. I recognize now that he asked me a lot of questions that were really about him. I was in graduate school at the time at University of Texas Southwestern Medical School. He had attended there. Wanted to know a lot about different professors. Policies. Stuff that had nothing to do with my treatment. So he was forgettable. His wife was another matter entirely. She was your stereotypical Texan woman of the mid-1980’s. Huge swooping coal-black hairdo. Gold dangly earrings hanging to her shoulders. Bright, way-too-tight, mountainous shoulder-padded blouses. Oodles of perfume. She worked as his receptionist. I would come in, smile and sit quietly while waiting. She sat behind a glass partition. 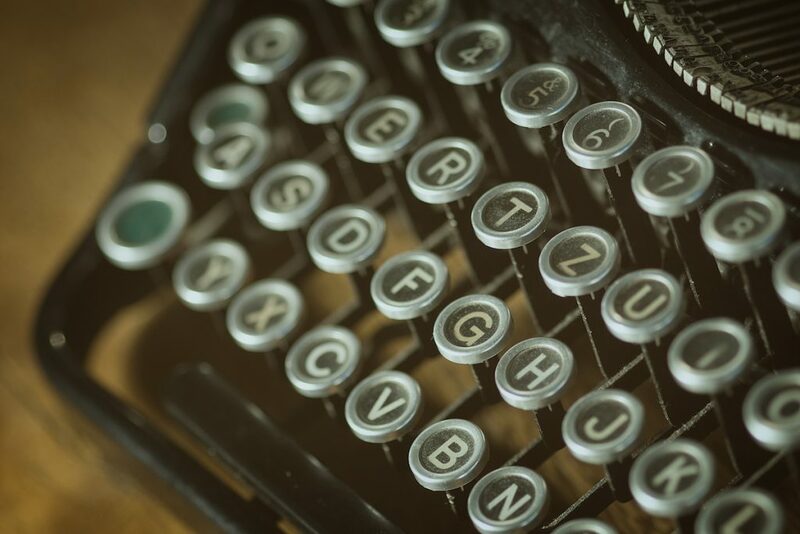 I could hear her bracelets jangling as she worked on whatever she worked on. I had gone for several months so we saw each other regularly. Were on a friendly, first name basis. One day, she came from behind her perch. Sat down very close to me, looking somewhat conspiratorial. Eyes, wide-eyed and darting around from side to side. “Mawgret, can I ask you something’? You can’t tell Frederick ’cause he would just kill me.” (Frederick being the esteemed doctor). I waited a moment as she took a big breath. Then here it came. I couldn’t quite believe it. But in the sweetest of drawls, out popped these six words. She was right. Frederick would have killed her. “You just look so nahmal.” I was not sure what she meant by that. I wasn’t drooling or washing my hands constantly. By this time, I had traveled from pure shock to amusement to ironic realization. Tammy was offering me an opportunity of a lifetime. I had never told anyone but my family I had panic attacks. It was my little secret. Unless you had seen me have one, you would never have known that I could shake and tremble at a moment’s notice. Tammy may have done me more good that Dr. Frederick ever did. There are plenty of people out there doing really fantastic therapy. Helping people heal from trauma. Depression. Or panic disorder. Making changes that are adding to the quality of their existence. Yet I stayed in therapy with “Dr. Frederick” for quite a while before I realized that I wasn’t getting better. I don’t think I am the only one. I had a patient tell me her former therapist went to sleep during sessions. And another, that the therapist frequently took non-emergency cell phone calls during the session. I am far from perfect and have made mistakes – will make more I am sure. But those kinds of things are horrible. I have written a short eBook. 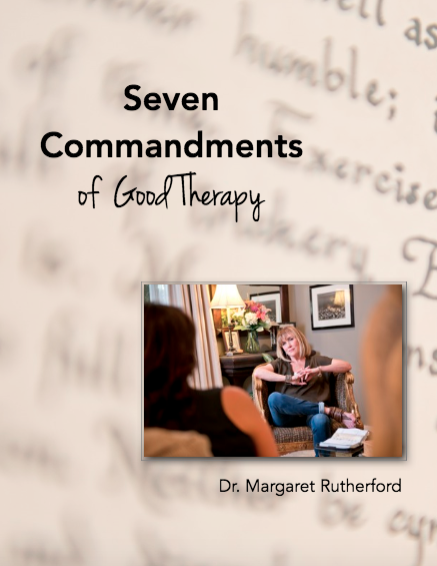 “Seven Commandments Of Good Therapy.” It’s available for free here on my website. There are some basics of respectful business practices, guidelines about boundaries between therapist and patient and tangible expectations that should be a part of every therapeutic practice. It is somewhat complicated by the fact that there are many therapeutic modalities. There are cognitive-behavioral approaches. Family systems. Emotionally-focused therapies. Psychoanalytic. Behavioral. I could list more. So the therapy you are doing with your therapist might not sound like the therapy someone else is doing with theirs. Kind of like recipes. My meat loaf may not taste like your meat loaf but it’s still meat loaf. 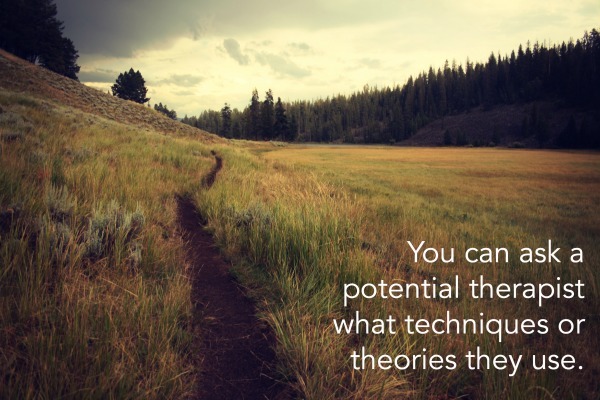 You can ask a potential therapist what techniques or theories they use. He or she should be able to define certain goals for you, especially after an initial session. So that you understand what the process is going to be like. Even over the phone, they should be able to tell you something about their method of practicing. And why they think it would be helpful for you. If their secretary asks you what’s wrong with you? I suggest you hightail it out of there. 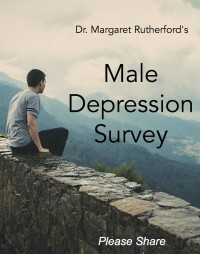 This is the last weekend I will be running my survey for men on depression and openness to therapy. I have almost 1000 respondents and would love for you (or your male significant other) to be one of them! I am hoping that if we understand more of the reason that men do or do not make certain choices, that we can reach out differently. Ask ourselves questions about how treatment is designed. Look for answers to the problem. Thanks for reading! Please read and share on your favorite social media. 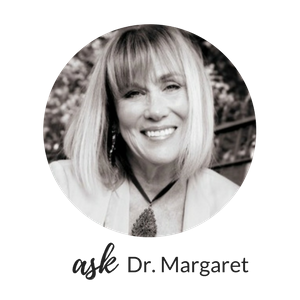 If you have private questions or comments, you can write me at askdrmargaret@146.66.99.73.